Camping La Chênaie es un camping en Laon, Aisne, situado en el bosque y al borde de un lago/estanque de recreo. Este camping con terreno inclinado tiene plazas con cercos, con sombra, sin sombra y parcelas con algo de sombra. Cabe alquilar tiendas de campaña y caravanas fijas. El camping dispone de una piscina cubierta con techo móvil y una piscina infantil. Este inspector visita cada año al Camping La Chênaie y lo inspecciona considerando más de 200 servicios y otros aspectos importantes. El inspector es un trabajador de ACSI y no trabaja para el camping. The toilets were clean and seemed quite new, the only issue was that there wasn\'t any soap to wash your hands and you had to provide your own toilet paper. The site is good but the lighting once it is dark was non existent making it feel unsafe as a result. The Pool was lovely except on the Friday there were a very large group of teenage boys who were around 17-18yrs who dominated the pool making it an unfriendly environment for women to swim, this should have been monitored. We would stay again but only as an overnight stop. In previous years we have never pre booked this camp when going from or returning to the UK. However travelling south this year (2018) in early May we were fortunate to get a pitch, due to a huge Classic Car Show just yards from the camp which attracts owners/visitors from all over Europe. Hence if considering La Chenaie you might want to consider this yearly event. Returning in late June was no problem at all. Ideal stopover camp, though this year we stayed an extra night and visited the Old Town, walkable from site but uphill going and it’s a steep climb, but worth the visit. Very friendly and helpful staff spoke good English. What you get is a large (some huge) grass or sandy pitch, some shaded others not. Decent WC’s and showers and a swimming pool, ideal after a long journey. Generally you get peace and quiet though sometimes a nearby shooting range creates a fair bit of noise, mainly in the late morning. There is a large, fenced off lake adjacent entry via a gate, not sure re fishing but saw locals there. Well worth trying is the bread and pain aux raisins, which can be ordered on site, absolutely top notch. Recommend the site. ¿Desea reservar u obtener más información sobre su Camping La Chênaie? Puede hacerlo mediante los datos siguientes. Desde la D1044 tome sal. Laon y siga las señales del camping. 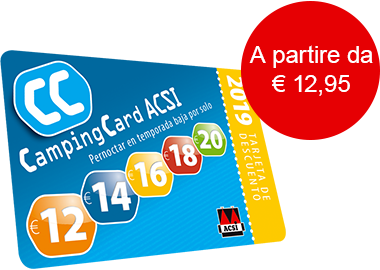 ACSI Eurocampings reenvía su solicitud de información al "Camping La Chênaie".